David Marquet, a retired Captain of a US Navy nuclear submarine says that great leaders don’t give orders, they give their people control. Great leaders don’t give orders, they move the authority to where the information is. It makes for a better decision by someone that knows the subject, avoids delay and makes everyone feel like they matter. If you want other people to think, don’t give them instruction, give them intent. When people stop asking permission, instead the state their intent the psychological ownership moves to them. For people to take the control, they need technical competence and organisational clarity. 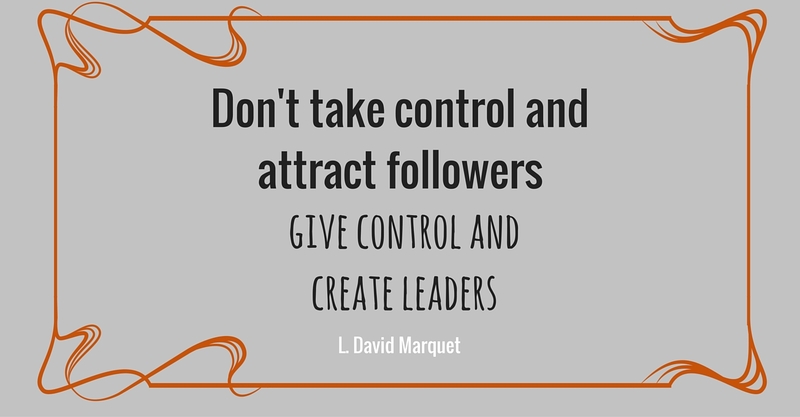 Relinquishing control will be hardest on you, the leader. You will fail and doubt yourself but you need to believe and persevere. Any leader that is struggling to change their ways. If a senior military man can implement this culture on a military submarine, anyone can. I can also recommend David’s number one best selling book Turn the Ship Around ! A True Story of Building Leaders by Breaking Rules. NewHire365 will earn a small commission if you buy through these links. This adds no cost to you but helps keep the lights on at NewHire365 HQ. It’s also worth noting that I do not recommended anything that I haven’t read and enjoyed.